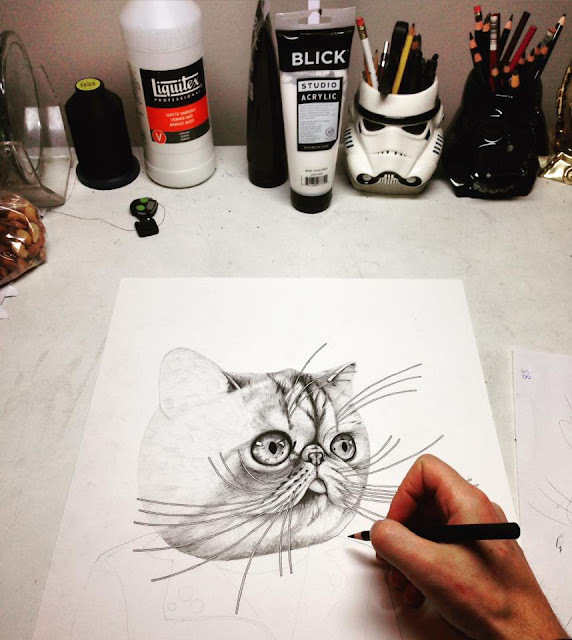 Punk rock cat portrait in the works! When I stay up late on a Saturday night drawing and I don't like my drawing, Frankie is there to say go to bed. Cat bed is where it's at! 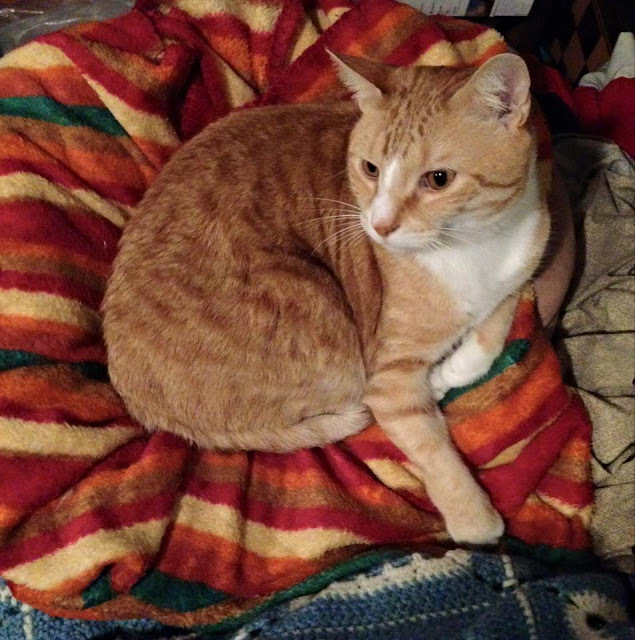 Leo stays warm in his bed during the cold winter days. 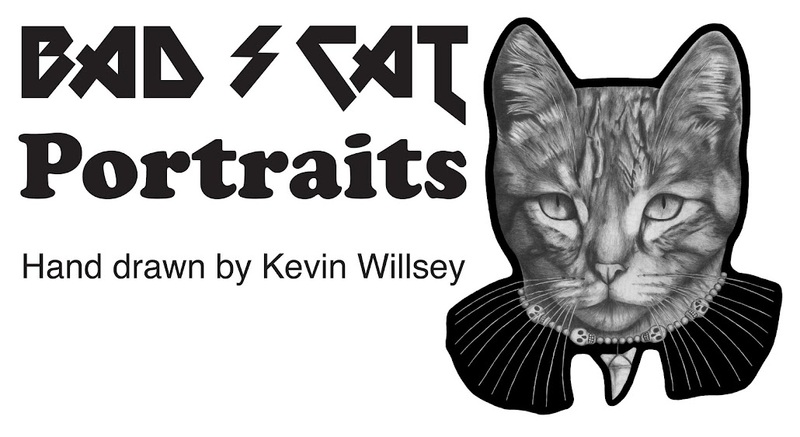 Stay tuned for a punk rock cat portrait mash up! 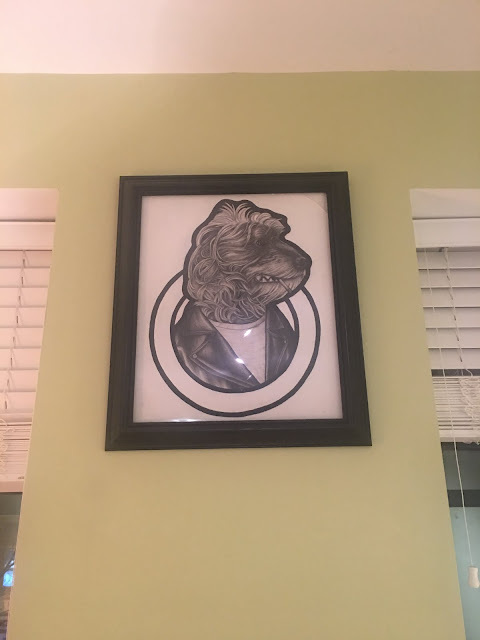 Leatherface cat portrait mash up! I have time to do another "cat horror portrait." This is an ongoing series for me. 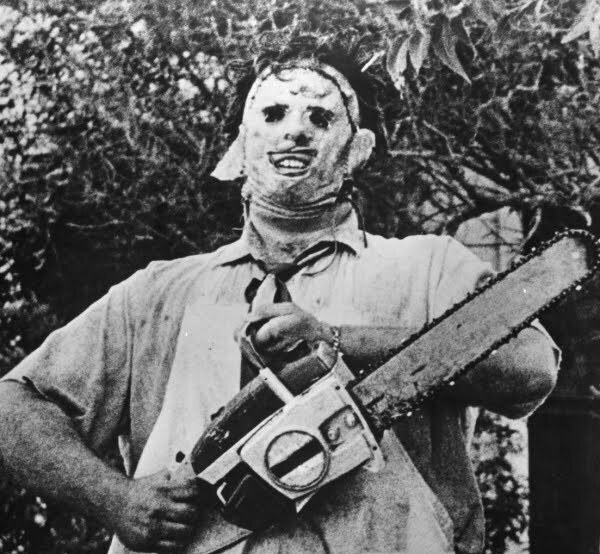 Up next in this series is Leatherface! A friend's cat had passed away while she was on a trip to Philly a few months ago. So, I wanted to draw her a memorial cat portrait. Here is Hailey with a hint of Rainbow Brite! 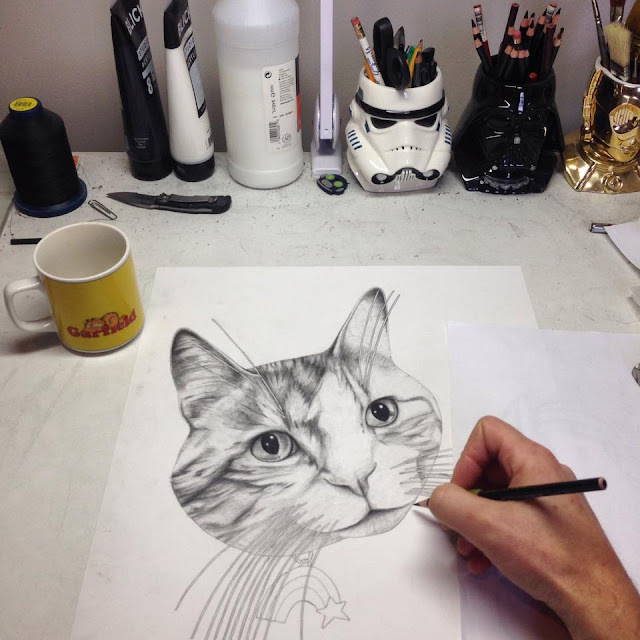 Cat portrait in the works. 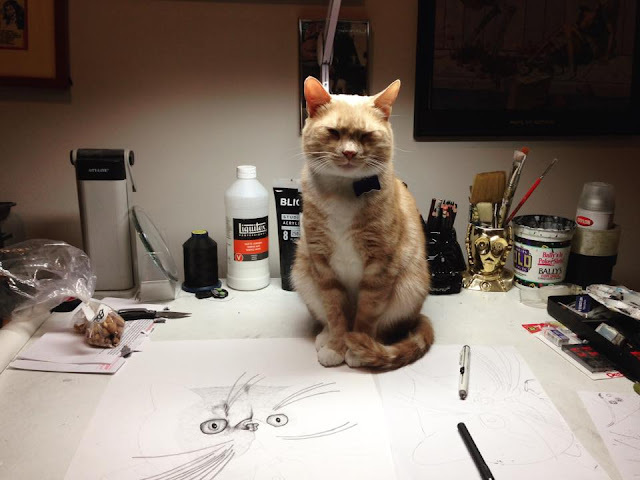 I have a new cat portrait in the works. 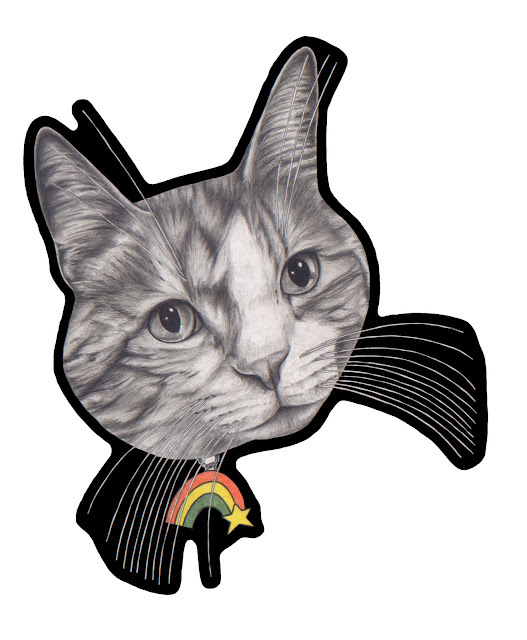 This cat portrait has a hint of Rainbow Brite!